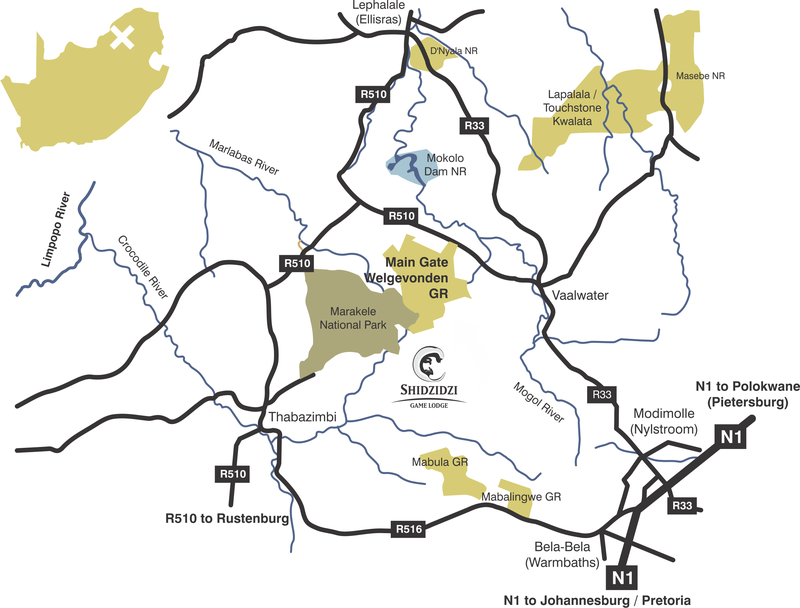 Daily scheduled flights from Grand Central Airport Johannesburg to Waterberg Gateway Aerodrome – 40 minutes flight. Road transfer from Waterberg Gateway Aerodrome to The Welgevonden Game Reserve Main Gate – 20 minutes transfer. Road transfer services from Johannesburg – 3 hours 30 minutes transfer. Guests will be met at The Welgevonden Game Reserve Main Gate by representatives of Shidzidzi Safari Home and transferred to the Safari Home.